Thanks from me as well to whoever can confirm or deny this. I may not want to leave my hut by the beach so quickly if the north is cut off. This is mostly true... 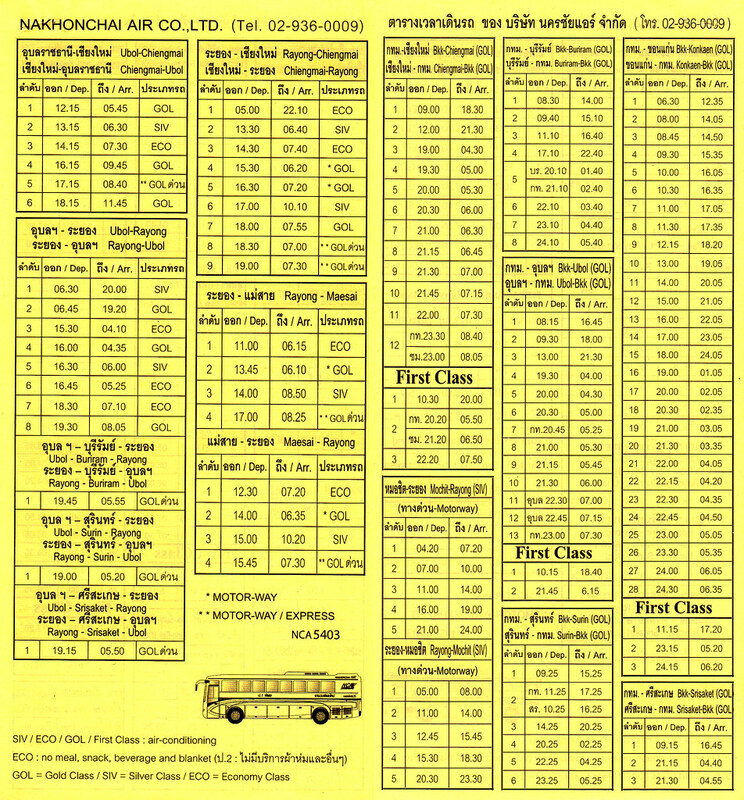 The trains are not running to northern Thailand at all, but I hear it is still possible to book a bus north. There is a long and somewhat unknown detour, so therefore not recommended at all. The flooding is getting worse the next few days before getting better. I just came from Bangkok about 10 days ago and have been checking every few days on the status. I can say that the tickets to fly are roughly $50-60 USD. If you can afford it, its a great way to get here to the north, as its been beautiful weather. 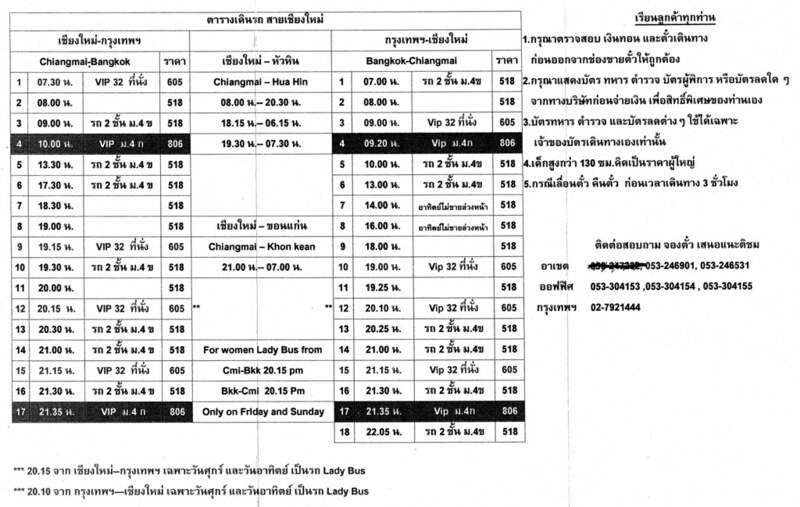 I was at the Chiang Mai Arcade bus station again today, and basically there are numerous buses with various companies doing the ride to Bangkok, with the going price 518-605 baht at most ticket windows. They generally head down the A1 motorway then detour around the flood zone via Suphanburi and Nakhon Phatom so it takes a couple hours longer than normal. Show up at the station early morning/evening (7am/pm) and get the next thing going, pretty simple. There are a bunch of transport companies at the Chiang Mai bus station (Phetprasert, Indra, Pornpira, Chayachit, Cherdchai, Newwiriya, Sombat, Nakhonchai Air, etc.) but I always find the ladies at the Sombat Tour desk are the most helpful (and they have "VIP" buses at 10am and 935pm for 806 baht). Nakhonchai Air is also very good. So coming up from Bangkok apply the same in reverse, go to Mo Chit northern bus terminal mornings or evenings and grab the next thing going. Or of course flying up is good value. There are 2 airlines that are very close in price. They are AirAsia and Bangkok Air. 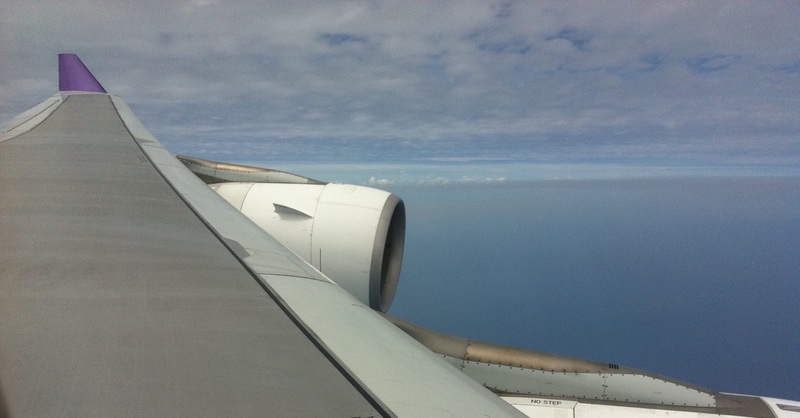 Air Asia is a little cheaper and therefore charges for a checked back. Also if you don't check in online before arriving at the airport they charge for a "counter fee." Because of that we booked with Bangkok Air through their website, and it was about $60(USD). Like I mentioned we had talked to a few travel agents in Banglamphu and they all were about 2500 to 3000 THB (upwards of $100USD) and found it was cheaper just to book directly through the airlines website. As long as you book a day or two in advance it should be the same price. Thanks misplcednot-lost. I just bought a ticket BKK - CHM on a promo with air asia for 1400 baht including all charges. I later tried to book a flight for my friend and all the cheapies had gone. Anyway thanks. Posted this on another thread but it is relevant to this one too.